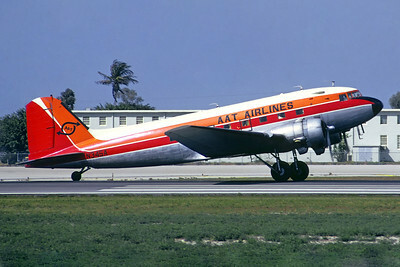 (American Air Taxi) (AG) (Key West, FL) 1971 - 1973 (became Air Sunshine 1st). Photos. Framable Color Prints and Posters. Digital Sharp Images. Aviation Gifts. Slide Shows. AAT Airlines Douglas C-47A-DL (DC-3) N345A (msn 9397) MIA (Bo-Goran Lundkvist - Christian Volpati Collection). Image: 946182.